Our provided Momos Cooker has an anti-bulge induction base to ensure safe and good cooking results. Each cooker features a pressure regulator and anti-corrosive metallic safety plug. This cooker is also designed with a wide mouth for ease of momos preparation. 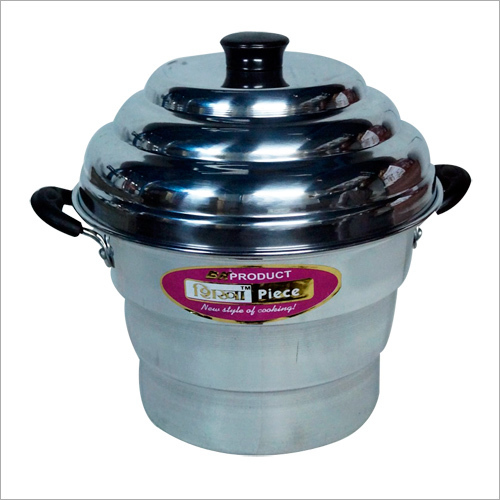 Customers use this cooker in homes, hotels, canteens and several other places. This cooker is made up of stainless steel metal and sophisticated extrusion techniques. The user can easily hold this cooker due to its lightweight and heat resistant side handles. The entire stock of this Momos Cooker is meticulously checked on quality aspects before packaging procedure.